On more than one occasion I have gotten the question “How does blogging help me get pet sitting clients?” And while I have been blogging up a storm for years on how to do all of this, I realized I haven’t actually explained on a strategy level how blogging helps customers find you and how it converts them to pet sitting clients. I have shown you Mark, a dog trainer, who ended up with so much business from blogging that he raised his prices. I have brought you the story on my YouTube Channel and on my podcast Bella In Your Business, of a man on the brink of bankruptcy in 2008 who started blogging and not only saved his business, but became a worldwide leader in his industry, which then lead him to make over 2 million dollars speaking all over the world about exactly how he did it. I also had the incredible Mike Alton on Bella In Your Business showing you how your local blogging can gain you credibility and expert status in your community. I even showed you what you need to do post publishing to make sure the most amount of eyeballs get onto your blog. Post publishing is almost as important as writing the actual blog. There have been numerous other instances… as I have over 200 videos, 500 blogs, and 130+ podcasts (at the time of publishing) but I have never actually directly answered “How does blogging get me clients” so let me explain. When you have a question you don’t know the answer to, where do you go? People ask google (or Siri or Alexia, etc) everything! We ask them on our phone. We ask them by typing in on our computers, and we even ask them by voice. Search is something that has changed so much over the years and more and more questions are being asked, and less “search term + city” ENTER. People are looking for answers to their questions. Will you be the one answering them? I guarantee most of your competition isn’t doing it. There is a huge opportunity up for grabs. Will you take it? Content Marketing in 2019 is Like the Gold Rush. This is still an untapped strategy that many are too lazy to adopt. Or, they lack the planning to actually execute. How much does it cost (in the area)? What are the problems with the product or service? People will figure out the answers to their questions somehow and why not it be from you? You can be the one responsible for bringing the information that the people want. For that they will be grateful. I want you to imagine the last time a company was super helpful to you. When they educated you or provided value in a way that you felt like you could trust and was unbiased. A super example of this is Hubspot. They have endless blogs, downloads, and even free software that you can download now all so you can get comfortable with the knowledge of sales and tracking the things they provide the tools for. They basically let you test drive their brand before making the investment. This ability that the consumer has to “kick the tires” is hugely powerful IF they can actually believe what the brand is saying. This will make the decision to reach into their pocket a lot easier and less stressful becasue they feel like they have gotten to know you. Blogs are super for repurposing, or what my friend Brian Fanzo calls “upcycling”. This is when you take the content and chop it up, we use it and spread it far and wide. We also talked about this on the Bella In Your Business Podcast. 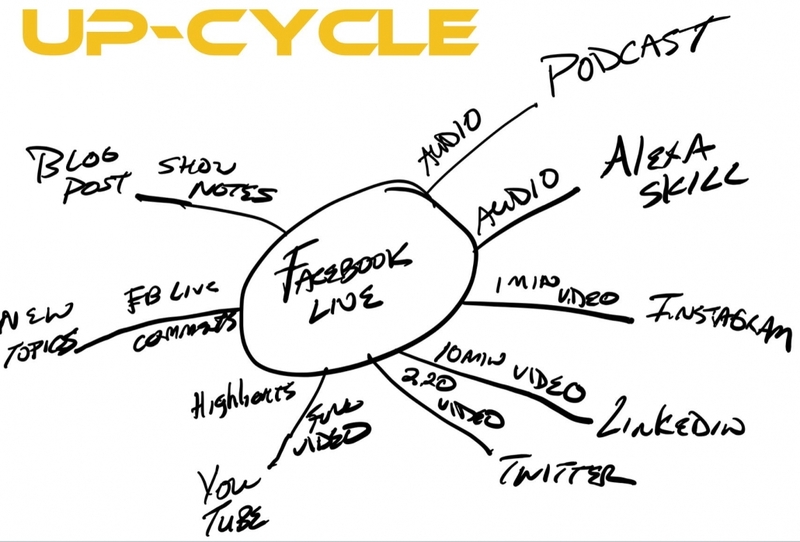 Another advantage to repurposing is that different people frequent different channels. Some people might follow you more on one channel than another and by posting your content on more than one platform you can and will expand your reach. But I warn you, master one platform before you add another or it can get overwhelming. Create graphics with your major points and share it on Facebook with a link back to your blog. Create an infographic and tease it on your instagram feed. Go live on your FB page talking about the article. Go live in your Facebook group talking about the article. Post it on your business page on Linkedin. In this day and age it isn’t about creating more and more content but using the content you do have and spreading it as far as you can. Think about spreading out pizza dough. It is the same effect! At the end of the day, your customers will always have the same questions. They will get their answers, one way or the other. It is all apart of the buying and decision making process. What if someone was looking for a veterinarian in the area and they came across your blog about the Top 5 Veterinarian’s in CITY? That was just one touch you made with a potential customer. Your blog was the one that kept coming up. It would subconsciously show them that you are showing up online. That you are a trusted local expert. That you care enough to make your marketing shine, that must be a great indication of your work ethic. The very thing they are hiring you for! Still Not Sure How To Get The Most Out Of Your Blog? They hate marketing for numerous reasons. They love marketing and always intend on doing more but really don’t ever get to it often OR (most importantly) consistently. They love marketing and rock it on a daily basis. If you are #1 or #2 then I have a solution for you. 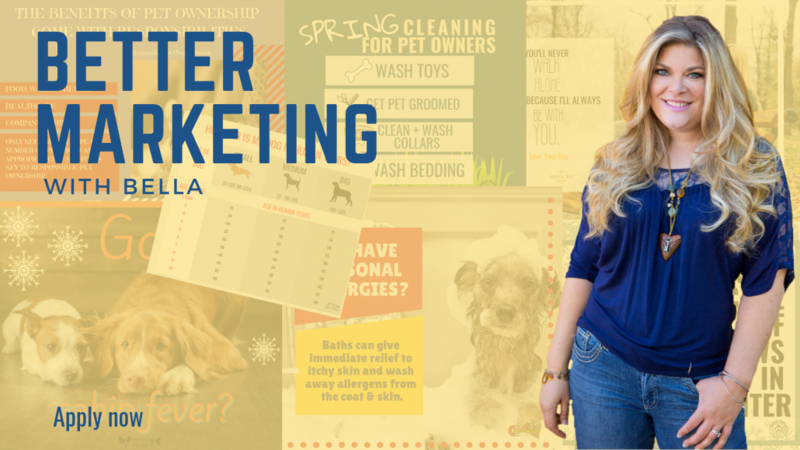 It is Better Marketing with Bella where we provide you over 25 marketing items each month for six months. We provide videos, content calendars, graphics, emails… It is a six month program and we will be admitting those who apply and meet the criteria very soon. You can apply here. https://jumpconsulting.net/wp-content/uploads/2019/01/Depositphotos_185030346_m-2015.jpg 705 999 Bella https://jumpconsulting.net/wp-content/uploads/2018/10/JUMP-CONSULTING-LOGO-2018-2-01-2.png Bella2019-02-05 09:44:412019-02-20 17:12:39How Does Blogging Help Me Get Pet Sitting Clients? Summer is coming to an end and we are quickly approaching the Fall season. But what does this mean for you as a business owner? Well, it means the kids are going back to school, Labor Day is coming up, and there are numerous opportunities for you get new clients. However, they will never know you exist unless you BLOG or VIDEO – it is a necessity! I know that coming up with blog/video topics is difficult, so I’ve compiled a list of intriguing September pet sitting blog ideas that will help your website shine on Google! 1. Holidays – Labor Day! 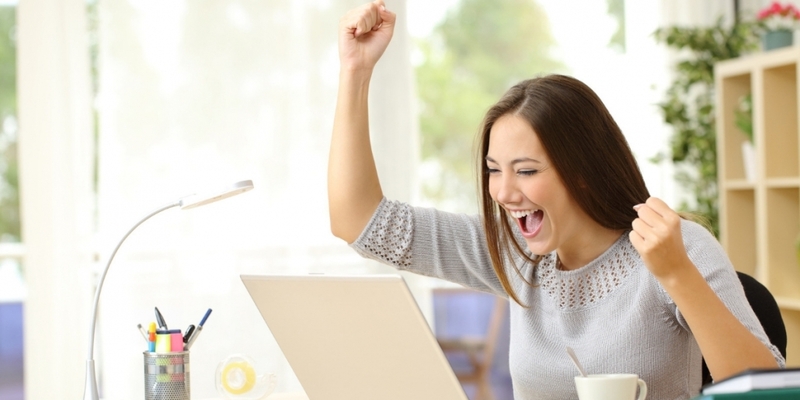 Labor Day can mean two good things for you as a business owner. The kids are going back to school. Many people in your area might be trying to figure out what they are going to do with their dogs now that their kids will be gone all day. Why not answer their question by writing a blog or making a video? Discuss different pet care options where you live and make your business shine by showing (not telling) why your service is #1. Also, consider writing about Labor Day. Write a blog or make a video about different events going on around town or ways people can celebrate with their families. It may get your clients’ thinking about taking a trip if they weren’t already, and sure enough, they’ll need you to watch the dog – score! 2. Goodbye Summer, Hello Fall! The weather is a great topic to blog or video about because it’s very broad and there are so many different directions you can go. Is it safe to walk a dog in the rain? Should dogs wear raincoats or rain boots when walking in the rain? Can dogs get sick walking in the rain? The questions are endless and will engage your audience to click and find out the answer. 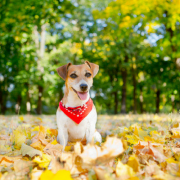 Changing of the seasons allows pet owners and their pets alike to engage in activities they might not have been able to do the season before. For instance, make a list of the top hiking trails in your area with the most scenic view? Summer is too hot for hiking, plus the changing of the leaves makes great scenery. Write about it and get your audience thinking! Or maybe blog/video about some of the best games to play with your dog outside during Autumn. 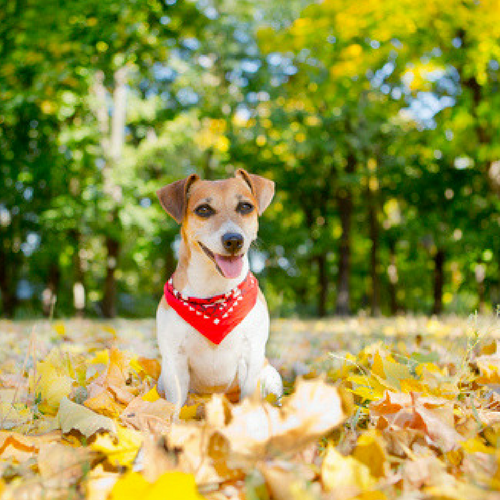 Other topics could include a list of the top dog parks in the area, dog-friendly restaurants, or other pet-friendly events that may be going on around you. Take these topics and run with them. Write about helpful tips cat owners can use to ensure their cat is both happy and healthy. Or take the second topic and describe how dog owners and their dogs can be prepared in case of an emergency. I hope these September pet sitting blog ideas are helpful to you and are able to give you some inspiration. If you are a pet sitting business that DOESN’T have a blog – it’s never too late to start. If you’re still not convinced, check out these blogs I wrote on Why Should I Blog For My Pet Sitting Business and Why You Should Care About Your Holiday Cover Profiles And Blogging. Lastly, if you choose to write about any of these topics – be sure to post a link to your blog in the comments section so I can read it. I want to see where your creative minds take these ideas! 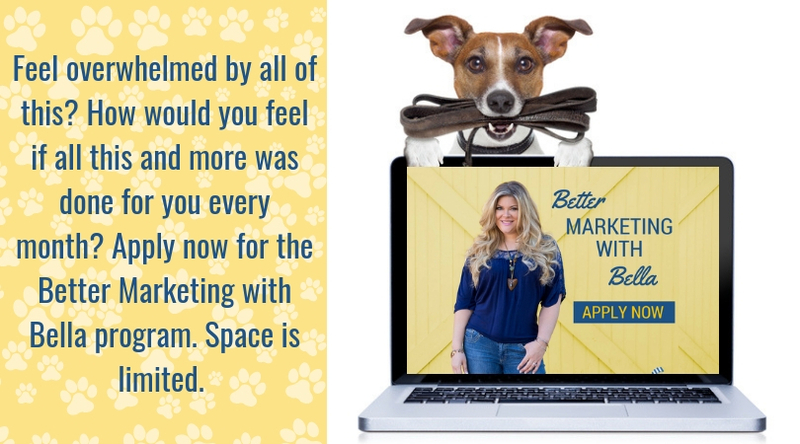 Learn How Two Coaching Sessions Tripled This Pet Business’s Leads By Blogging!